You are here: Virgin Islands News Online » News » Ministry of Finance & Auditor General conflict of interest? 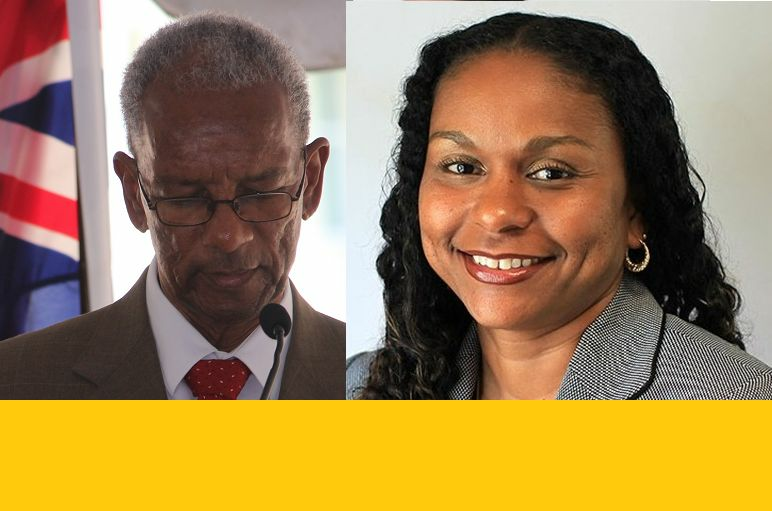 Speaking to our regular senior National Democratic Party (NDP) sources, it is our understanding that Premier and Minister of Finance Dr The Honourable D. Orlando Smith (AL) formed a task force to help with reviewing the Treasury Reports. The committee or task force is headed by M. Alva McCall, Deputy Financial Secretary, who has been left in charge of the Ministry of Finance. The 2012 Treasury Reports are now ready and must go the Auditor General to be reviewed and audited as an independent process. The Auditor General is a constitutional independent post and cannot take instructions from the Financial Secretary or the Minister of Finance. However, it’s our understanding that the Premier had asked the Office of the Auditor General to be a part of his task force, which many financial experts and constitutional scholars said is illegal. So, therefore, they would lose their independence if they are asked to sit on a task force reviewing the government's finances or the Treasury Accounts. The Audit General is also an advisory member of the House of Assembly’s Public Accounts Committee. This is the powerful committee headed by the Opposition Leader that investigates wrongdoing and government corruption. Once the Treasury Reports are ready they then have to proceed to the Auditor General independently to be audited, then the Financial Secretary can comment on them before they go to the House of Assembly. 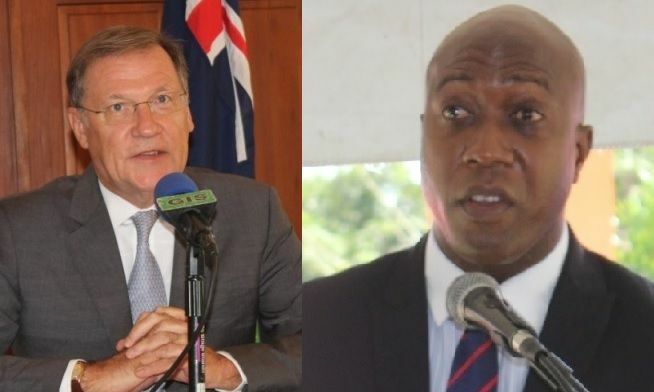 Premier Smith and his Administration have come under fire for their failed handling of the Territory’s Finances and for their reckless spending, according to Governor John S. Duncan OBE and Opposition Leader Hon Andrew A. Fahie (R1). One Government Minister, Hon Myron V. Walwyn (AL), the Minister for Education and Culture, spent some $1.2 Million on a small wall around the Elmore Stoutt High School while staff at the state-owned community college are paid late, students are told if they do not settle their accounts they would not be allowed to take their final exams and students, teachers and parents are begging for toilet papers and teaching aids at public schools. The Governor has humiliated the Government by imposing direct rule via the constitutional use of section 103 (b), directing how monies are to be spent for the police, and the government legal agencies, stripping the Minister of Finance, Dr Smith, of that power to determine how Government Departments are funded. The inexperience here is purely in the hands of the Premiere. He should have known better or should have been better advised in the appointment of this task force. Is she even qualified for this task? What does this have to do with the price of cheese? Please stay on the topic. I think the inexperience is currently on leave and we will finallu see some action in finance. I dont know why we take so much pride in acting dumb and stupid in this place as if we dont know where the real problems in govt are. We have a bunch of fools that are smart only on paper and are embarrassing the poor Territory. 2012 report! 5 years behind is abominable. The regulator fines companies for presenting audited financial statements over 6 months. to dog (s)- I am tired of seeing these declarations of repeatedly stolen identities. Why can't who ever is doing this find their own name instead of stealing others? This whole thing seem to be out of control. Mr. Primier try and get this thing right. Do not put our young people to do the wrong thing. This mess must be cleaned up without using the wrong people. If the NDP were talking to the people and not being secretive about the people's money and projects they were doing this would have been avoided. All this adds up to is corruption in government. NDP reminds me so much of RTW. Lies, cover up, greed,,controlling The same behavior like the Managers at RTW. Hope these new owners don't get fooled by the lies, cover up and sweet talks...Or the same way NDP run this country to the ground, they will run RTW to the ground. Nothing is too big to fall... take warning! Corruption at its best. We are the only country afraid to impeach and dissolve this pothetic government. I wish if all you would stop blogging. Cast your energy into getting rid of this conflicted government. Their leadership is deplorable. Their actions are questionable. Their behavior is a disgrace. Auditor should know better. Put them in they place. @Ronald...my sentiments EXACTLY!! Have this Government Dissolved! The DFS has absolutely no experience in Finance. Are we looking for miracles for someone with an IT background to run Finance? Using an Engineer for FS was bad enough but giving him an assistant with absolutely no finance background speaks a lot to why our government is in trouble. As far as I am concerned several persons in the Ministry have absolutely no accounting experience, no wonder the Governor had to step in and fix the budget. I'm not surprised. Please, my country men/women, give this young lady a break - give her time to prove herself and stop being so negative and critical. Either that or step forward and do the job yourselves. Thank you. Hmmm, I hear you speaking and positive debate is always good. Nevertheless who would you recommend for the position in place of this young lady? It's not enough to say she is a poor choice. She from here right? She went University right? Well she good for the job according to us! What happen to bulding the brother and sister up. Some people have negative comments. It seems that the people have the answers to everything. But if you asked the people to give of his/her time they have something else to do but will be the first to say something negative. It doesn't matter if VIP, NDP or whoever P is in power,people will have a problem. We are all HUMANS at the end of the day.Not to make excuses but that's reality. And it people do something and catch that something is wrong and say then I would prefer that than them hide it. Back off the Deputy Financial Secretary. She didn't put herself in the post. She is a very smart woman who will do her best regardless. It's up to the Government to find a suitable replacement for NS if they no longer think he is capable for going the job. the trap is set and the busuest noisemakers are taking the bait. Giving the usual hollow misinformed opinions of sorts are reasons why Ms MC Call should be replaced with a UK Deputy. Go ahead Duncan . Completion of the plan looking good. The "people" have swallowed. We all talk but don't know nothing. Don't know whats going on behind the scenes or how things come about. And on top of that cant do the job. This is insane! Our minister of Finance is a joke. I really do know who is advising the minister of finance , but he is being led down the garden path you take a rookie with limited knowledge of the inner workings of the government, no accounting or finance skills , an online degree no real working knowledge or hands on experience and put them in charge of a critical ministry like finance . Please tell me that you are not going backwards. The senior deputy is sidelined because of what . Say what you want like him or not you can not say poww does not know the government system, after all he was in charge of internal Audit or more than seventeen years,that mean he audited all government departments. I know he does not have a Tortola last name plus he is an island man, yea but god does not sleep nor slumber.